Spring is here - Flowers are blooming and the Post is growing. Pollen is in the air. We added 5 more electronic pull tab machines for your pleasure. We had SUPER events in February and March. Thanks again to Bob and Bonnie for putting fun back into the Post. Thank Patrick for the Day at the Races. Make sure you check our site at www.post152.com for the most current calendars as there are changes all the time. Car enthusiasts will be busy as we have our First Post 152 JEEP show on April 13th and our annual Classic Car Show on May25th. April 8th at 7pm will be a short meeting for the POST 152 CRUISE group to provide some last minutes tips. If you are sailing with us, please try to attend as it will be informative. The American Legion Post 152 Riders is coming along quickly and may even be Chartered by the time this letter gets published. Mike Thorpe is doing a great job getting this together. NOMINATION for officers and Executive Committee are still open and we will take new nominations at the April 18 General Meeting. This will be the last round before elections: so get involved and get your name in the running. The concrete slab around the burn pit in back of Post is completed. Thanks to Jose Ramirez (he donated all the materials and labor) and Glen Lathers for coordinating the project. We are still looking to finish the porch screening and also to complete some repairs around the building to ensure a safe and comfortable Post for our members. The Executive Committee is the best and we added Brandon Zylstra to kick it up another notch. The Eboard is doing a fantastic job and when you see one of the members in the Post, please take a minute to thank them. Don't forget our Bar Tenders are working hard to take care of you as best they can so tell them you appreciate them. Be nice and live the dash! Springtime marks a time of fresh beginnings. Flowers start blooming, up north snow starts melting and new life is appearing all around in many forms. It is a time of renewed hope. It also marks one of the most important dates in the Christian calendar - Easter. Just a few days before, darkness not only came over the land but in the hearts of Jesus' followers. He had died a brutal, criminal's death on the cross and was laid to rest in a borrowed grave. Many of his followers thought all was lost. Two of his apostles had key roles in the events of those few days. There was Judas who betrayed Jesus to the temple leaders for thirty pieces of silver. There also was Peter. He assured Jesus he would stand by him, even if he had to die with him. But when bystanders recognized that he was one of Jesus' followers, he denied three times that he even knew him, just as Jesus predicted he would (Matthew 26:31-35, 69-75). Both witnessed Jesus teach and saw him heal the blind, deaf, sick and crippled. They heard him say he would die but would rise again in three days. Both felt guilt and remorse for what they did. Judas let his guilt overwhelm him so much that he hung himself. Peter also felt remorse, so much so that he wept bitterly. But he was there to see the resurrected Jesus. So, what was the difference? I believe that the difference was that Peter remembered what Jesus promised and it was that hope that Jesus would rise from the dead as he said he would that helped him to pick himself up, dust himself off and wait with the other apostles for their risen Lord. Judas, on the other hand, forgot those promises, and he lost hope. If he had held on another three days he would have witnessed the resurrection and the birth of a faith that is still growing and changing lives even today, over 2000 years later. Sometimes the challenges of life can seem overwhelming and there is no end in sight. It is so easy to despair and want to quit. It's in those times that we need to remember God's promises and cling to them. There are so many more promises & reassurances like these. Hold on to them & draw strength from them. Find your hope in them. That very thing you are praying for could be just three days away. I am taking this opportunity to thank all of our Post, Unit and SAL members for the great hospitality shown to our Department President, Michele DeGennaro, on her recent visit. You are all AWESOME. And to our Vice President, Patty Pritchard, thank you ever so much for stepping up and assuring that everything ran smoothly. To the volunteers in the kitchen, you all know who you are, you were fantastic. Our Lady Legionnaire luncheon was not well attended as we had hoped but those that attended had a great time. Our Post has formed a Legion Riders Chapter and if you as an Auxiliary member would like to participate please see Mike Thorpe. Our Unit will be having nominations for the 2019-2020 year at the April and May meeting with elections being held at the May meeting. Ladies if you are interested in becoming an officer please see one of the members of the nominating committee. We will be electing a President, 1st and 2nd VP, Chaplain, Historian, Sergeant-at-Arms and 3 members to the Executive Committee. Our constitution and bylaws have been approved and there will be a $5.00 increase in dues starting July 1, 2019. J realize that many may think this is a big rate of dues however our Unit does not get to keep all of the $40. We only keep about $15 and this is what we base our budget on. We do many things for our Veterans, Community and Children &Youth. We do ask that you participate in our and the other events held at the Post so we can continue doing our programs. Some of our members still meet on Wednesday mornings to do crafts and we welcome newcomers to join them. We will be distributing Poppies over the Memorial Day weekend and if you would like to help please see Donna Pomeroy or Debbie Kilcoyne. I am looking forward to seeing our new members and old members at our meetings. 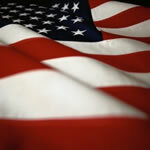 Please remember to keep our Veterans and active duty service members in your prayers. This summer eight scouts from our troop will be attending Camp Woodruff in Georgia. We began planning for the trip in February. Part of this planning process includes selecting which merit badge classes each scout will attend during their day. Scouts can choose between classes such as: rifles, shotgun shooting, archery, computer game design, wilderness survival, physical fitness, citizenship and many more. Our first year scouts will be taking a course called Mountaineer which will help them with their tenderfoot, and second class ranks. One day of our week will be spent white water rafting on the Nantahala River in Tennessee which is just a bus ride away from camp. To pay for the cost of camp (about $400 per scout) many of our scouts are participating in monthly car washes. In addition to the cost of camp, we have to pay for meals and gas on the way to and from camp. To commute to camp, we will be carpooling in some of our leader’s personal cars. All of this would normally be very expensive but some of the burden of cost has been relieved with the help of fellow Legion and Auxiliary members. Jim Powers donated a very generous $400 and Bob Lehmiller and Bonnie Strohm donated about $270. We send to them our biggest thanks from the entire troop! The American Legion Auxiliary Emblem. The emblem of the American Legion Auxiliary is your badge of distinction and honor. It stands for God and Country and the highest rights of man. It consists of several parts, and each part has a meaning. The rays of the sun that form the background stand for the principles of the American Legion Auxiliary, for Loyalty, Justice, Freedom and Democracy; dispelling the darkness of violence, strife and evil. The unbroken circle of blue represents unity and Loyalty. The field of white exemplifies the hope of Freedom. The star of blue is the emblem of service in war; it is no less the emblem of service in time of peace. The emblem of the American Legion Auxiliary is the emblem of Americanism. As members of the American Legion Auxiliary, we must preach and teach principles of Americanism. 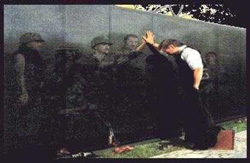 Let us not forget that to each generation comes its patriotic duty and that upon your willingness to sacrifice and endure as those before you have sacrificed and endured, rests the hope of the nation. The Sons of the American Legion Emblem. It is your badge of distinction, honor and service. It stands for God and Country, and the highest rights of men and women. The design of our emblem was taken from the emblem of our parent organization, The American Legion. But our emblem is oval in shape so as to be easily distinguished. The star in the center represents our country, and the five points of the star represent the five-point program of The Sons of The American Legion. The sun in the background represents The Sons of The American Legion and the rays represent the loyalty of its membership. The blue of the emblem, like the blue of our flag, stands for justice. The two stars in the blue border stand for freedom and democracy. The wreath below the star is in memory of our comrades; and those of our fathers who willingly gave their lives for their country. The ten points of the emblem represent the ten ideals of every Legion son. Wearing the emblem should always remind us of the sanctity of the home, our Country and its free institutions. Sometimes we lose sight of what the American Legion is all about. Here is a partial list of community activities, charities and functions the Post 152 family is involved in. See your Commander or President if you are interested in helping support these efforts. Boys State – an American Legion sponsored program which teaches boys for an intense week about government, held in Tallahassee. Held in the Capital building and recognized by the governor. Girls State – an American Legion Auxiliary sponsored Program which teaches girls for an intense week about government, held in Tallahassee. Held in the Capital building and recognized by the Governor. Faces of Courage – nonprofit cancer patient support organization with a primary goal of helping the cancer patient navigate their way through the treatment process and to thrive as a survivor. Honor Flight - Providing War-era Veterans free Honor Tours to their memorial in Washington, D.C. Conducted fundraisers and donated several thousands of dollars. The National Child Welfare Foundation - The Auxiliary and SAL donate annually. St Francis House – a Catholic organization that helps individuals and families through the AIDS crisis. Alpha House – a home for pregnant teenagers helping them through their pregnancy and placement of child if desired. Hope Children’s Home – home for physically, mentally and sexually abused children. The ALA help them financially and with supplies for the home. Tools for Hillsborough Schools – warehouse of supplies for teachers to pick supplies for underprivileged children. Ronald McDonald House – a house for parents and relatives to stay while children are being treated and cared for during hospital stays. Angels Unaware – a home for mentally challenged children and young adults. Paws for Patriots – help with funding and training of Guide Dogs for disabled veterans. Freedom Foundation – a government learning experience in Pennsylvania. Chosen by submitted essays about America. Thanksgiving dinner – held at the Post for veterans and other members of the community. Support 7 VA Clinics – Fort Myers, Sarasota, Daytona, Oakland Park, Tallahassee, New Port Richey and Jacksonville. Fund the representative of the American Legion Auxiliary at each facility. Support 8 VA Medical centers – Bay Pines, Lake City, Miami, Gainesville, Orlando, Tampa, West Palm Beach and Gulf Cost (Pensacola). Fund the representative of the American Legion Auxiliary at each facility. Support 6 VA Nursing Homes – Daytona, Lake City, Land ‘O Lakes, Port Charlotte, Pembrooke Pines and Springfield. Fund the representative of the American Legion Auxiliary at each facility. Fisher House – Fund 7 including West Palm Beach, Bay Pines, Orlando, Ft Walton Beach, Gainesville, Miami and Tampa. Fund the representative of the American Legion Auxiliary to buy needed supplies. Special Olympics – Officiated some of the events and sent $4,000 donations last year. 4 Children’s Hospitals – fund All Children’s Hospitals, Northview Community Center, Mailman Center, Florida State Hospital and Northeast Hospital. Funding is sent to help the American Legion Auxiliary representative projects and programs. Creative Arts Program – fund supplies for VA hospital for Recreational therapy used to bring veterans back into the main stream or life. Stand down for homeless Veterans - includes medical exams, food, bus passes to get to local VA Hospitals, counseling and clothing. Christmas Baskets - for needy families. Last year over 300 families were provided with Christmas dinner and other staples. Purchase Spinoza bears - to donate to sick children. Sick children will not tell an adult all of their problems because they blame themselves. These bears have a recorder, the children can play the recorder and the bear talks to them or it records what the child tells it. The doctors can listen to the recordings and learn a lot that the child will not tell him. Supply the V. A. Medical Centers with lap robes and ditty bags (carry personal items to and from bathroom). I am sure you have heard varying excuses for not renewing your dues…..i.e. : I don’t go there much anymore. I’ve lost interest. I don’t know any of the members, etc. But, what Legionnaires fail to realize is that there are 3 reasons for paying your dues. 1. Dues support programs of the American Legion such as Children and Youth, Americanism, Flag Education and other. 2. Dues afford benefits for Legionnaires such as Travel Discounts, Free Insurance, Medical and Dental Insurance and others. 3. Perhaps the most important of all is the fact that by paying your dues every year, Washington politicians can’t cut the VA Budget and decrease veterans’ benefits. We need to hold steady or increase our 2.7 million membership. I thought I would take a moment to introduce myself. I joined your (our) post 5 years ago while in Tampa on a visit to my dad. My father is a member there. He is a former Marine in during the Korean War. I joined based on my time served during the Panama Conflict. 1989-1990. After 9/11, I felt the need to serve again and enlisted in the PA National Guard in Nov 2002 where I am a combat medic. Last Nov we found out, we were getting deployed in Jan of this year. Right now, I am currently in Ramadi, Iraq serving the people of the great United States with pride and dignity. I’ve been receiving my newsletter here in my care packages from home. I just wanted to send a quick note to let all of you know that the future of the American Legion across the country will continue with all the great servicemen and women I have met along the way during my deployment. Please don’t call me a hero. I only did my job. Who went where we were sent. And did what had to be done. Securing a more stable life. So, please don’t call me a hero. and make the strongest of men weep? black stone to say a farewell to old friends. boldly embraces the man named Paul. of pain, doubt, questions, and fears. the tears rush to freedom. so long broken and frozen in time. undefeated by the wall of back stone.